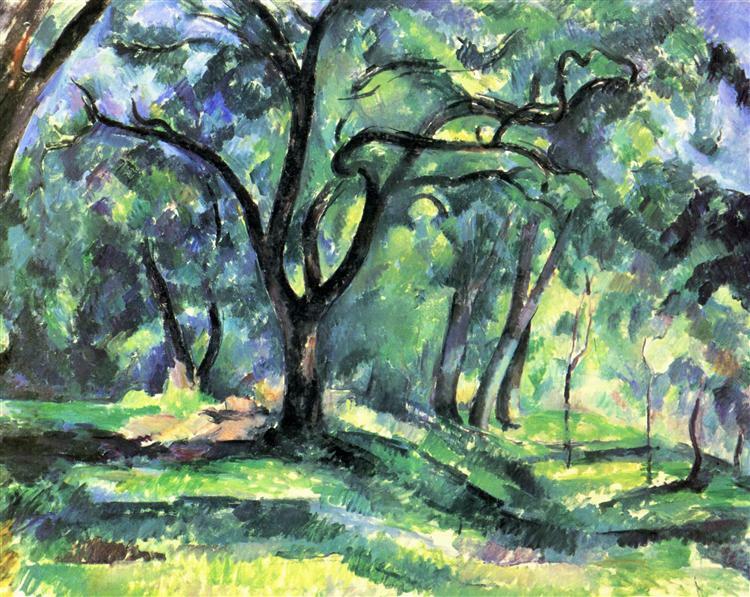 This painting is of the landscape from Cezanne’s home in Aix-en-Provence, where he spent many of his later years painting. 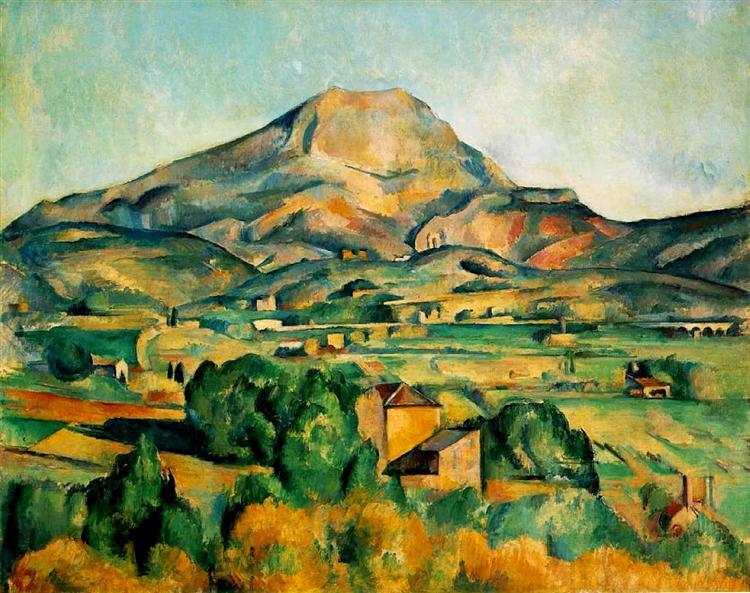 He developed a special relationship with this landscape and painted many rendition of it, especially the mountain in the background. 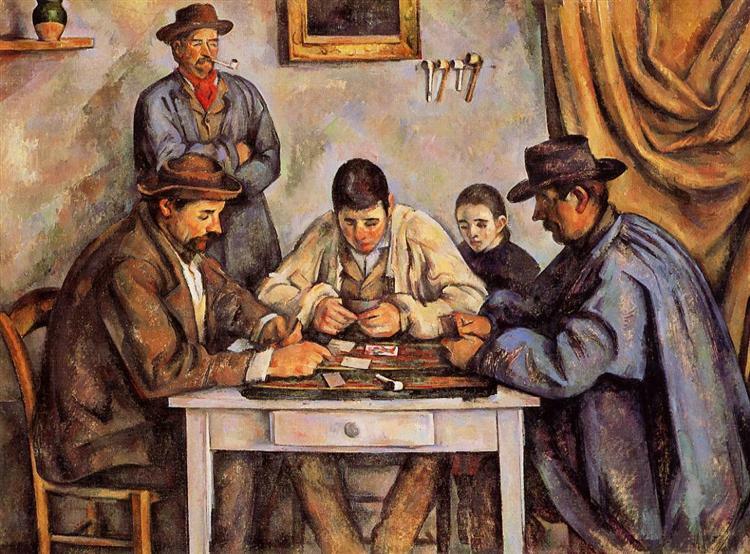 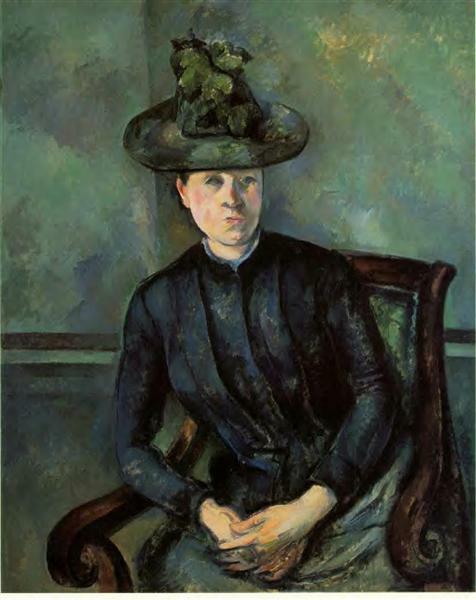 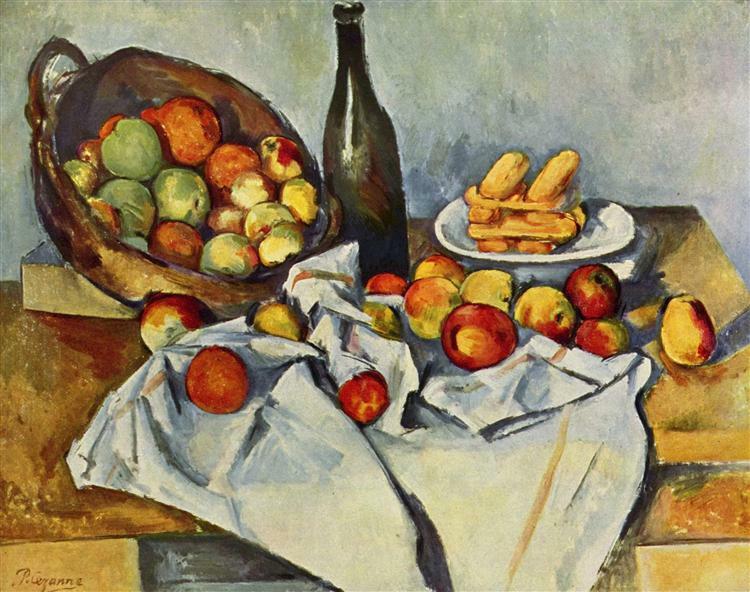 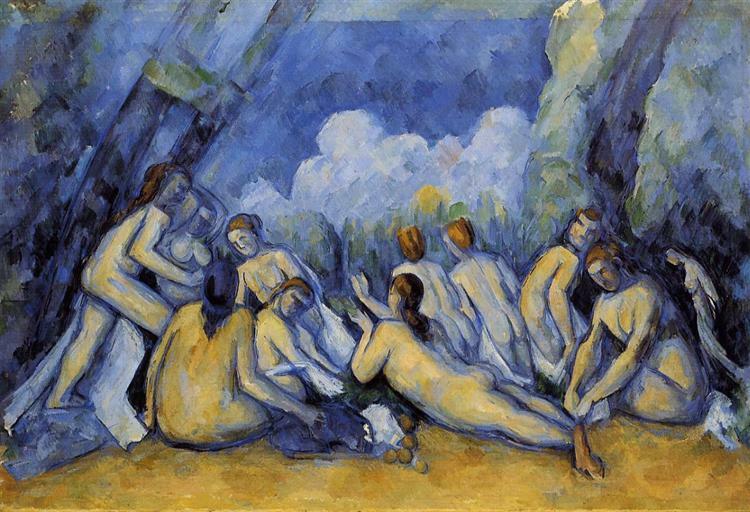 The painting clearly illustrates the way Cezanne sought to depict the nature of reality and our perception of it. 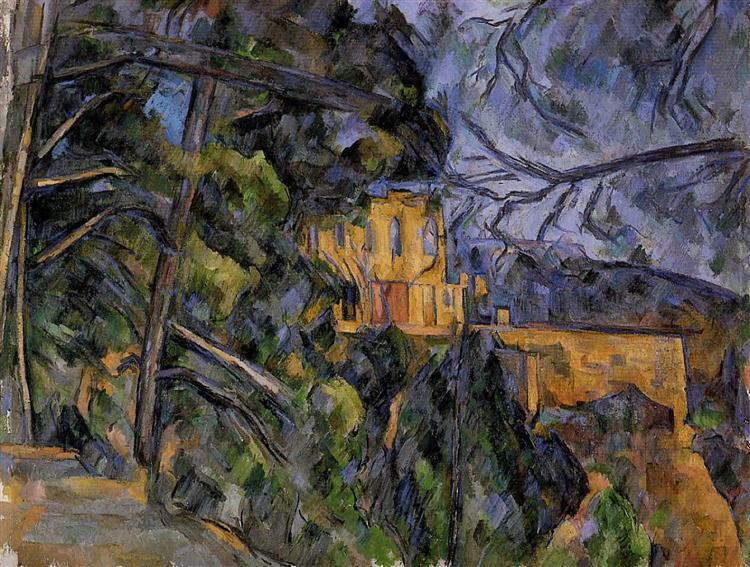 The mountain gives way to simple forms and the building in the foreground have been devolved into their particular shapes, all the while keeping the entirety of the landscape intact. 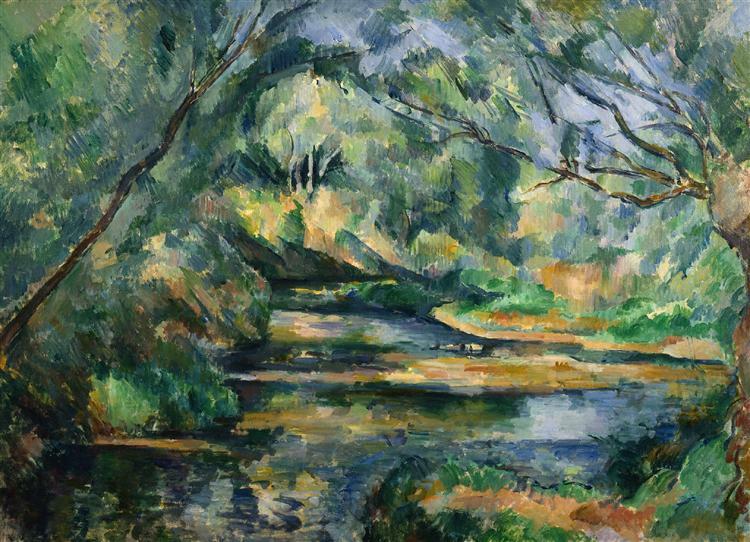 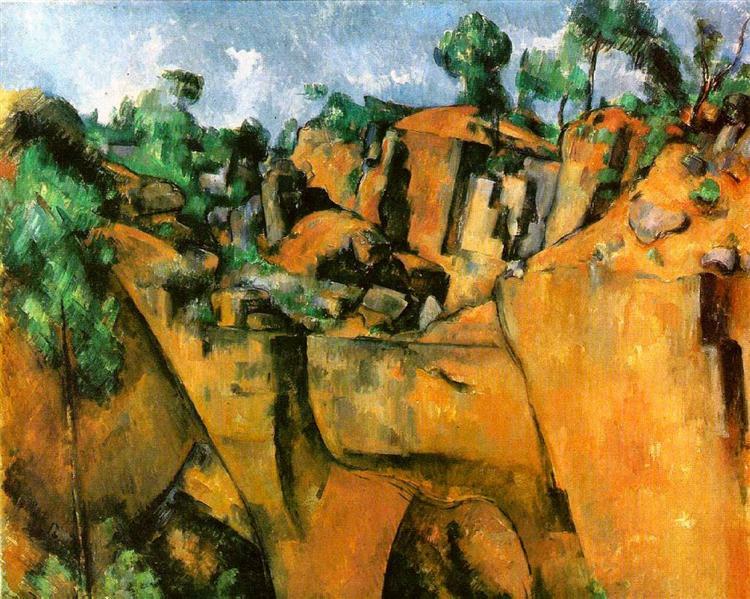 Cezanne’s use of light and color give the impression that it is not his rendering of the landscape that give it a fragmented quality, but that it is an inherent quality of the landscape itself.